IT must, on the perusal of these volumes, have been observed that the unfortunate subjects of the different cases reported have generally been not only guilty of the crime for which they suffered, but of many others, and often more heinous ones. The reader, too, must have frequently felt indignant at the fool-hardy protestations of innocence, with the rope of death suspended over them, of numbers whose guilt had been most incontestably proved. We shudder at the very idea of a sinner departing this world, and his soul journeying to the next, accompanied by the wicked lie with which the breath fled. 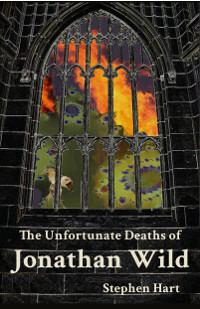 Some malefactors will have been found, affecting to brave the terrors of death merely, to gratify the few moments of life left, in exultation of the unnatural reflection of having boldly launched themselves into eternity, and that succeeding felons might hereafter say (to use a Newgate phrase) "he died game!" Of the very worst description of hardened villains was that whose crimes we are about to bring to view -- a wretch callous to hope and fear, and who died mocking his God, and cursing his fellow-creatures! The proclamation of peace occasioning the discharge of many seamen, Neale was paid off, and bringing his wages to London, he soon wasted his money in the most dissipated manner, and in the worst of company; and then had recourse to the dangerous practices of a footpad robber. On a particular occasion he stole a tankard from an inn in Hertfordshire, for which he was apprehended, and lodged in the county gaol, and, being tried at the next assizes, was capitally convicted; but obtained a pardon, on the condition of transporting himself for seven years, through the interest of the late duke of Cumberland. Having given bail thus to transport himself, he entertained no thought of fulfilling the contract; but, immediately associating with Bowen and other villains, they committed a variety of robberies in the vicinity of London. William Bowen was a native of Londonderry, in Ireland. His parents, who kept an inn, and lived respectably, proposed that he should succeed them in their business; but an attachment to bad company led him astray from the paths of duty. His father dying just before he came of age, left him the inn, on the condition of his supporting his mother, a brother, and two young sisters: but the young man, deaf to every prudent consideration, associated with people whose circumstances were much superior to his own, to the neglect of that business which would have supported the family. Aware of the decay of his trade, and the consequent ruin that stared him in the face, he came over to London with all the cash he could secure, and fell in company with people who assisted him to spend his money; and, when that was gone, he entered on board a ship as a common sailor. The seamen having received their wages, Bowen got into company with his old associates and some women of ill fame, with whom he spent his last shilling, and then had recourse for support to the perpetration of robberies in the neighbourhood of London, particularly near Stepney and Mile-End. One of Bowen's companions being apprehended for picking pockets, he and others joined to rescue him, as the peace-officers were conveying him to Newgate in a coach. The public being alarmed by this daring rescue, Bowen did not think it safe to stay in London; and having heard that his brother, then a seaman, was at Liverpool, he went thither in search of him: but, on his arrival, he learnt that, having received a large sum as prize-money, he had sailed, to see his friends in Ireland. Bowen immediately wrote to Londonderry; but, not having a letter in return, he came to the metropolis in the most distressed circumstances; when, going to a house where he had formerly lodged, he was informed that Neale had been to inquire for him; and on the following day Neale came to see him, in company with a man named. Vincent. After drinking together, Neale said to Bowen, "Come and take a ride with me." Bowen said he had no money, but the other told him that would soon be procured. On this Neale went out to borrow him a pair of boots; while Bowen went with Vincent to his lodgings, where the latter gave him a hanger and a pair of pistols, which Bowen concealed under a great coat; and then all the parties met at an alehouse in Southwark, whence they went to an inn, and hired horses, on the pretence of going to Gravesend; instead of which they went towards Kingston, where Vincent had a relation who belonged to the Oxford Blues. In their way they purchased a whip for Bowen, and loaded their pistols. On their arrival at Kingston they went to a public-house, and, sending for Vincent's kinsman, they all dined together, and drank themselves into a state of perfect intoxication. Having paid their reckoning, they mounted their horses, determined on the commission of robbery; and, meeting a gentleman named Ryley, Bowen pulled him from his horse, and in the same instant quitted his own. Mr. Ryley ran off; but Bowen following him, threw him down, and, kneeling on his breast, the other entreated that he would not hurt him. Bowen threatened his instant destruction if he did not quietly submit; and, having robbed him of his watch and money, bade him run after his horse, which had quitted the place on Neale's whipping him; and, in the interim, Vincent watched, lest any person should come up to interrupt him. The highwaymen now rode towards London, and when they, came near Wandsworth determined to go to Fulham, and thence to town by the way of Hyde-park Corner. Having divided the booty (except a thirty-six shilling piece, which Bowen secreted) at the Greyhound inn, near Piccadilly, they supped and slept at that house. In the morning they told the landlord that they wanted to go towards Highgate, but were not well acquainted with the road. As they had been good customers, the landlord begged to treat them with half a pint of rum; and then went a little way with them to show them the nearest road. Having arrived at Highgate, they drank at that place, and then determined to proceed to Barnet, at which place they put up their horses, and called for rum and water, of which they swallowed such quantities that Vincent and Bowen fell fast asleep. In the mean time Neale endeavoured to secrete a silver pint mug; but, being detected in the attempt, he was taken before a magistrate, and loaded pistols being found on him, orders were given that his companions should likewise be taken into custody, and all of them were lodged in the county gaol. At the, next assizes an order was made for their discharge (as nothing appeared against them), on their giving security for their good behaviour. For this purpose they wrote to London to procure bail; but Mr. Ryley, hearing that three men of doubtful character were in the gaol of Hertford, went thither, and immediately knew that they were the parties by whom he had been robbed. Hereupon a detainer was lodged against them, and, they were removed for trial at the Surrey assizes, previous to the holding of which Vincent was admitted an evidence fore the crown. His testimony corroborating that of Mr. Ryley, Neale and Bowen were found guilty, and sentenced to die. Being lodged in the New Gaol, Southwark, Bowen was taken ill, and continued so till the time of his execution, He behaved with some degree of resignation to his fate; but was violent in his exclamations against Vincent, on account of his turning evidence. Neale evinced no concern on account of his unhappy situation; but behaved in a manner more hardened than language can express. At the place of execution he paid no regard to the devotions, but laughed at the populace while he played with the rope which was to put a period to his life, After the cap was drawn over his face, he put it up again, and addressed the people in the following shocking terms: -- "I shall very soon see my Lord Balmerino. He was a very good friend of mine; so that is what I had to say, and d--n you all together." He then drew the cap over his eyes, and was launched into eternity. And give their neighbours pain."